One of our biggest client requests is creating reports. Reports are a useful fleet management tool because they provide snapshots for decision making. For instance, fleet managers use maintenance & fuel reports to minimize fleet downtime and fleet fuel expenses. Two of the biggest fleet cost drivers are maintenance and fuel. Maintenance cost includes repair and replacement costs, as well as lost productivity. Fuel costs, on the other hand, are predictable operational costs. 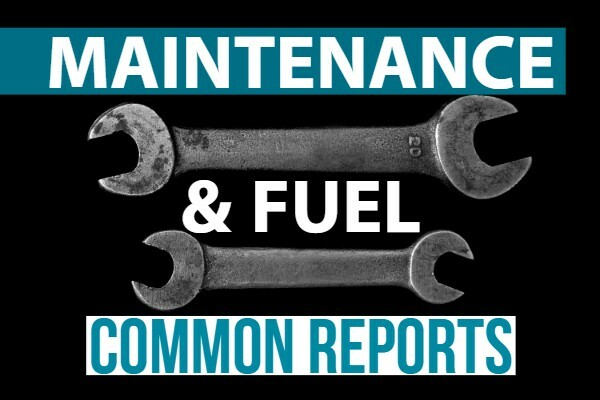 Some of the key maintenance & fuel reports include Engine Light Warnings, Fuel Trends, and Idling. Engine lights are a vehicle’s first indicator for trouble. For instance, engine lights might indicate that a mechanic needs to inspect a vehicle’s engine or air flow. If left unattended, vehicles can encounter major issues and stop working. However, the issue with many fleets is that some drivers do not report issues. Fleet vehicles ultimately belong to the business and unfortunately, some drivers ignore engine light warnings because it isn’t their personal vehicle. A useful report in this case is % Days with Engine Light On. This report measures engine light warnings during a given time period. Therefore, even when drivers are not reporting issues, mechanics will still know which vehicles need further checkup. Another budget controlling initiative outside of controlling maintenance expenses is reducing fuel expense. Fleet managers are responsible for optimizing fuel costs. As a result, many fleet managers plan and implement strategies such as no-idling rules, driver contests, or fuel replacement. All of those ideas are great. Nonetheless, the key question for many fleet managers and their performance evaluations is, “are my ideas working?”. This is why fleet managers measure and monitor trend reports. These reports are useful because they paint a long term picture of a fleet. For instance, here is a fuel report for the last 3 months. Overall, the fleet is experiencing lower fuel costs. However, over the past month, there was a slight increase in fuel expense. This is useful information for the fleet manager. Is there an increase because there is more business? Or, should the policies be re-evaluated? Speaking of fuel policies, one of the most common and effective ideas is reducing idling. Unfortunately for many fleets, idling is a major concern. For instance, on my way to work, I noticed at least 3 idling vehicles. In response, a lot of fleet managers create and monitor a zero idling policy. Idling Reports are a great tool for this objective. To illustrate, view the Idling Report above. 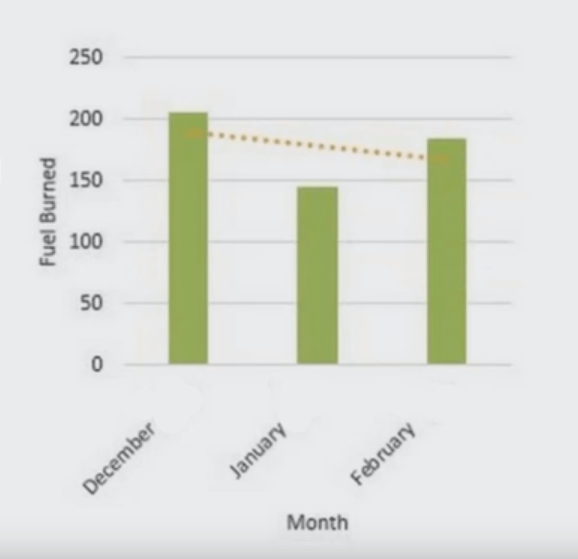 Fleet managers can use this report to identify idling patterns and follow up with driver coaching. Enjoyed our blog on maintenance & fuel reports? Check back with us for our next report set – driver safety!